Peter Salerno has experience as a civil trial and appellate litigator, in-house manager and counselor, mediator, and arbitrator. His practice is concentrated in commercial, employment, and tort-related civil litigation and alternative dispute resolution. 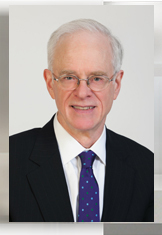 He is a member of the arbitrator and mediator panels of the Financial Industry Regulatory Authority (FINRA) and the mediator panels of the U.S. District and Bankruptcy Courts for the Southern and Eastern Districts of New York. Mr. Salerno began his career as a law clerk for the Hon. Paul R. Hays, U.S. Court of Appeals for the Second Circuit. After a brief stint in a law firm, he joined the U .S. Attorney’s office for the Southern District of New York, where he held executive positions in the Civil Division including Deputy Chief of the Division and Chief Appellate Attorney. As an Assistant U.S Attorney Mr. Salerno defended and prosecuted actions on behalf of the United States and its agencies in a broad range of subject areas, including torts, tax, environmental law, government regulation, civil rights, and employment. He was also chosen to represent the government in several large, complex cases. He then joined the legal department of Kidder, Peabody & Co. as chief of the litigation group, and was in charge of relationships with outside counsel in litigation matters. At Kidder Peabody Mr. Salerno represented the firm in broker-customer, investment banking, employment, and regulatory matters, and in a major antitrust litigation and regulatory investigation. He has since been in private practice; a consultant for Prudential Equity Group on broker-dealer regulatory matters; and the part-time general counsel and chief compliance officer of a small family-office hedge fund. He and Amy Rothstein formed Salerno & Rothstein in January 2014. Mr. Salerno’s long experience as a litigator and in-house attorney makes him both an effective advocate and a knowledgeable, understanding mediator and arbitrator. His clients and parties for whom he has mediated respect his wisdom, judgment, thoroughness, and energy.